June 24, 2016 – Hydrogen is the most-abundant element in the universe. It’s also the simplest — sporting only a single electron in each atom. But that simplicity is deceptive, because there is still so much we have to learn about hydrogen. One of the biggest unknowns is its transformation under the extreme pressures and temperatures found in the interiors of giant planets, where it is squeezed until it becomes liquid metal, capable of conducting electricity. 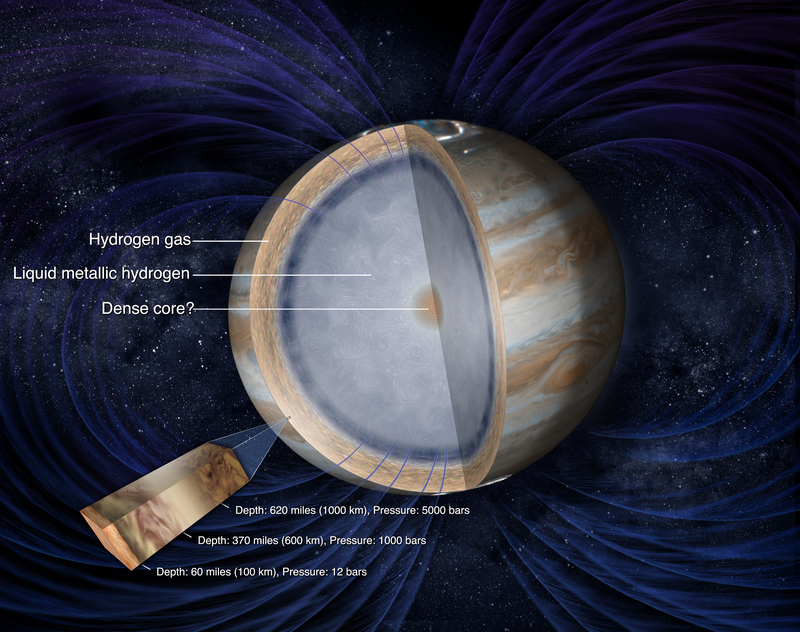 Studying hydrogen conditions on Jupiter is one of the objectives of the Juno mission. Pressure at Jupiter’s core is millions of times that of Earth. Scientists expect Jupiter’s core to be more liquid than solid because of the pressure, but also expect it to be much denser than Earth’s core. At these enormous pressures, the hydrogen acts like an electrically conducting metal, which is believed to be the source of the planet’s intense magnetic field. This powerful magnetic environment creates the brightest auroras in our solar system, as charged particles precipitate down into the planet’s atmosphere. 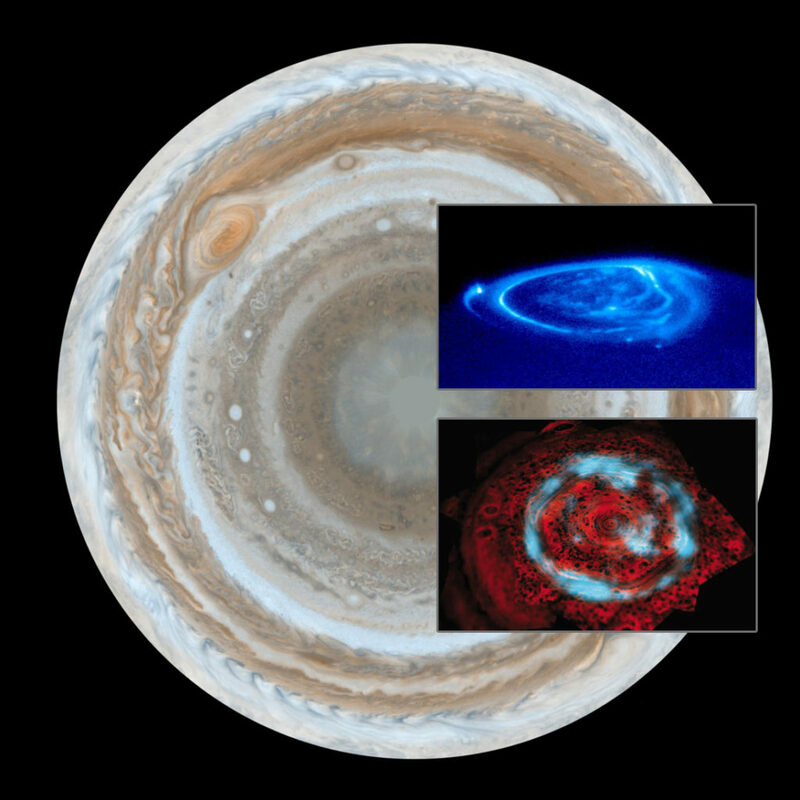 Juno will directly sample the charged particles and magnetic fields near Jupiter’s poles for the first time, while simultaneously observing the auroras in ultraviolet light produced by the extraordinary amounts of energy crashing into the polar regions. These investigations will greatly improve our understanding of this remarkable phenomenon, and also of similar magnetic objects, like young stars with their own planetary systems. Understanding the formation of Jupiter is essential to understanding the processes that led to the development of the rest of our solar system and what the conditions were that led to Earth and humankind. 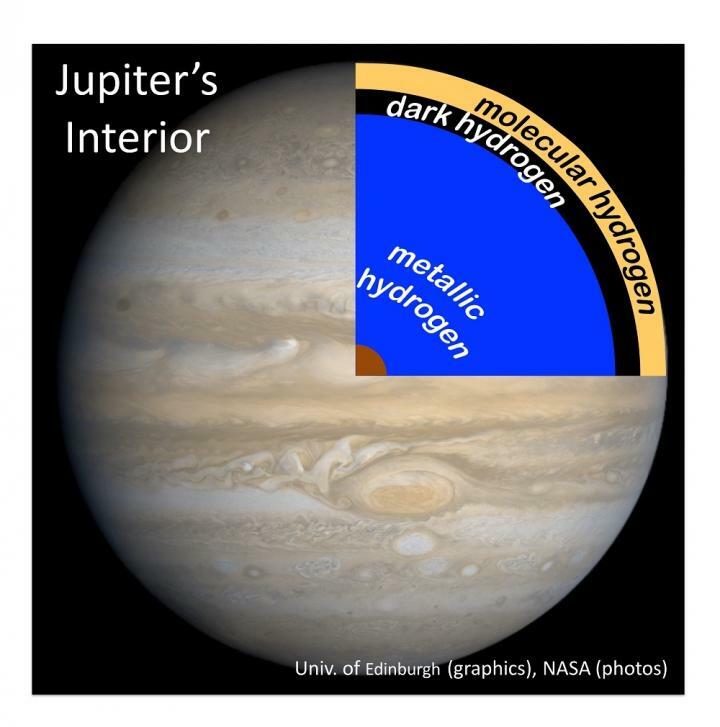 Like the sun, Jupiter is mostly hydrogen and helium, so it must have formed early, capturing most of the material left after our star came to be. How this happened, however, is unclear. Did a massive planetary core form first and capture all that gas gravitationally, or did an unstable region collapse inside the nebula, triggering the planet’s formation? Differences between these scenarios are profound. Juno gives us a fantastic opportunity to learn about the structure of Jupiter in a way never before possible and will allow us to take a giant step forward in our understanding on how giant planets form and the role that plays in putting the rest of the solar system together.